When browsing property listings online at MilitaryByOwner, I am often astounded by the many treasures I find. With my smartphone, I may uncover a jewel of a rental. On my laptop, I can linger on a listing for sale as if I’ve found a hidden gem. While looking at housing near Wright Patterson Air Force Base, I came across a stunning home that I must tell you more about. Many military families love spacious homes. Open kitchen layout? Yes! Generous master bath? Affirmative! Multi-use lower level? Absolutely! All those details and more are included in this nearly 5,000 square foot Beavercreek manor. With this lovely home, a growing family may feel at ease with their pick of 5 bedrooms and 3½ baths. Young children's imaginations can soar with the children’s playhouse in the backyard. Tweens or teens may rally with friends around the backyard waterfall pool and spa. 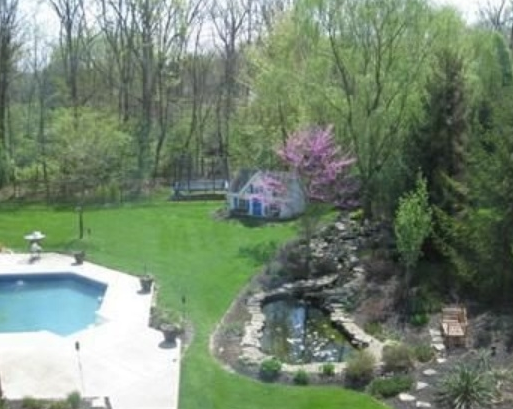 Exquisite landscaping surrounds this woodsy one-acre property located less than 10 miles from Wright Patterson Air Force Base. Additionally, within a short drive from this quiet neighborhood are abundant shops and cafes in the Fairfield Commons area and Beavercreek Town Center plaza. From tray ceilings to cozy nooks, this warm and welcoming abode is filled with charming extras. For example, elegant windows, crested pillars and raised flooring highlight a formal room off the heart of the home. 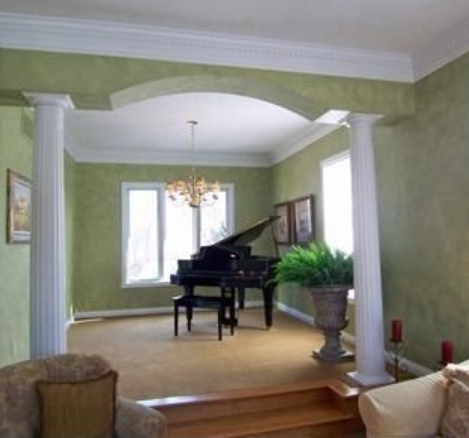 This space may set the scene for piano lessons for a budding Beethoven. 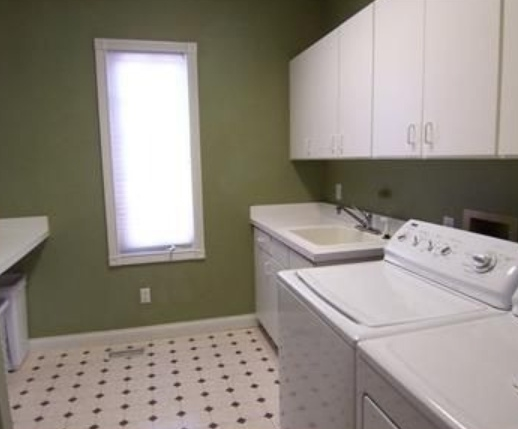 Meanwhile, a generous main floor laundry room may be sweet music to the ears of busy parents! With natural light, a utility sink, ample storage, and a handy counter for folding clean clothes or linens, laundry chores can be done in record time. After a full day, adults can unwind downstairs, seated at the luxurious granite counter of the custom bar. 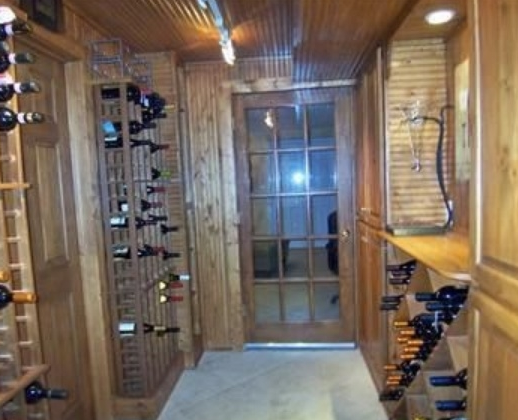 Adjacent, stock the connoisseur’s wine cellar with local specialties from the Ohio Wine Trail. Nearby, the kiddos may kick back in the well-appointed downstairs entertainment room. A giant projection screen invites gamers to play the latest match up. Or movie fans may watch a fun flick with the state-of-the-art audiovisual system. Offering walk-out access, this finished lower level is brimming with living space potential and storage capabilities. 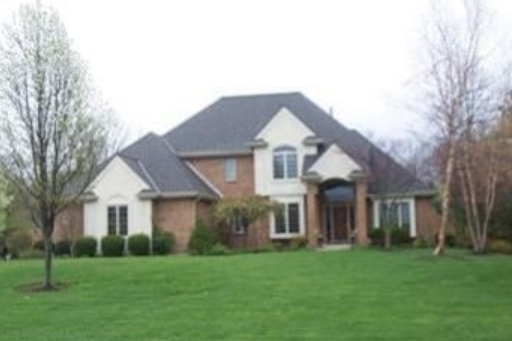 If military orders lead you to an Ohio assignment in the Dayton area, consider a grand home such as this Beavercreek estate. The family friendly vibe of the surrounding community and outstanding local schools may make your time spent in “The Buckeye State” quite worthwhile. **Update: While this home is no longer listed, take a look at these other beautiful homes for sale or rent near WPAFB on MilitaryByOwner!